Waubgeshig Rice is an author and journalist originally from Wasauksing First Nation. 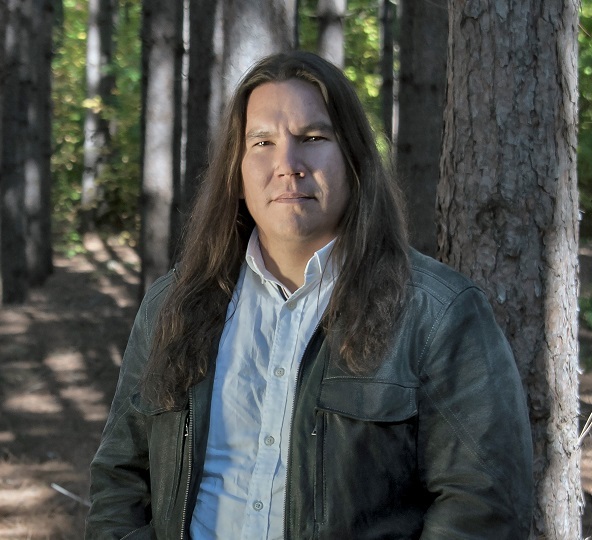 His first short story collection, Midnight Sweatlodge, was inspired by his experiences growing up in an Anishinaabe community, and won an Independent Publishers Book Award in 2012. His debut novel, Legacy, followed in 2014 and was published in French in 2017. Waubgeshig got his first taste of journalism in 1996 while he was an exchange student in Germany and graduated from Ryerson University’s journalism program in 2002. He currently works as a multi-platform journalist for CBC News in Sudbury, where he lives with his wife and son. In 2014, he received the Anishinabek Nation’s Debwewin Citation for excellence in First Nation Storytelling. With winter looming, a small northern Anishinaabe community goes dark. Cut off, people become passive and confused. Panic builds as the food supply dwindles. While the band council and a pocket of community members struggle to maintain order, an unexpected visitor arrives, escaping the crumbling society to the south. Soon after, others follow. The community leadearship loses its grip on power as the visitors manipulate the tired and hungry to take control of the reserve. Tensions rise and, as the months pass, so does the death toll due to sickness and despair. Frustrated by the building chaos, a group of young friends and their families turn to the land and Anishinaabe tradition in hopes of helping their community thrive again. Guided through the chaos by an unlikely leader named Evan Whitesky, they endeavor to restore order while grappling with a grave decision. 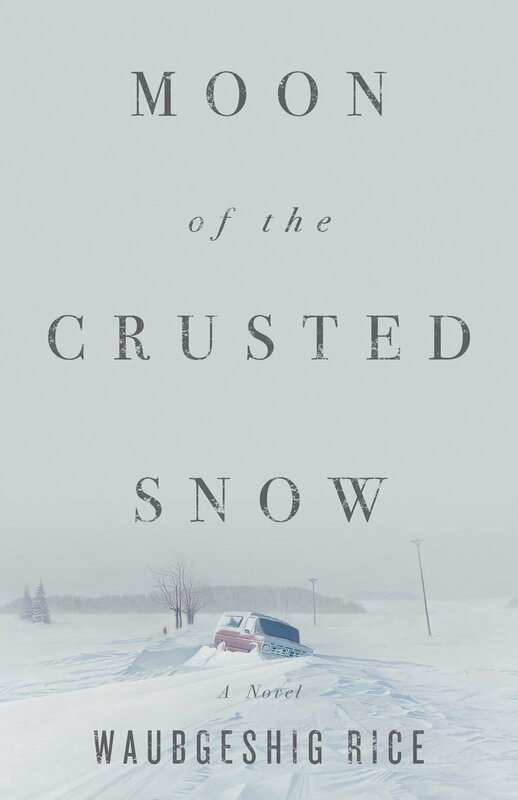 Blending action and allegory, Moon of the Crusted Snow upends our expectations. Out of catastrophe comes resilience. And as one society collapses, another is reborn. 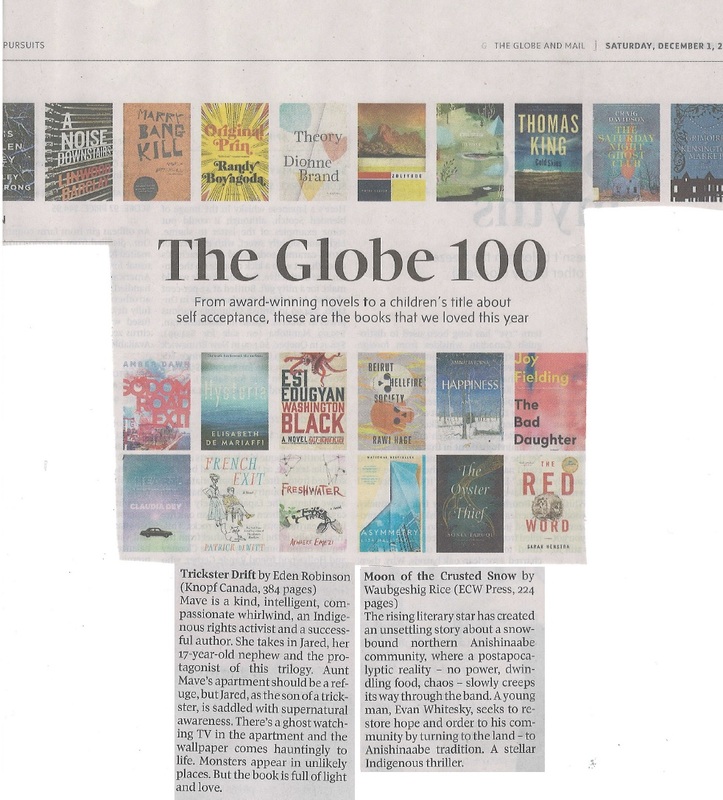 Publishers Weekly says Moon of the Crusted Snow "will leave readers breathless"
Loan Stars selects Moon of the Crusted Snow as a top pick for October!